I’ve never heard (of) The Dead B Specials. Their drummer has recently uploaded some tracks to Soundcloud. 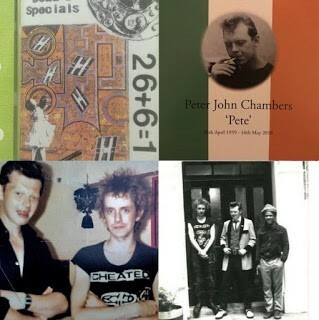 The Dead B Specials were a South London punk band singing Irish rebel songs in the early nineties in Brixton. A band set up and run by Rockin Pete John Chambers RIP. “Rockin” Pete John Chambers R.I.P. Some of the songs are mislabeled on soundcloud, so I’ve tried to write their real titles.